We have been a customer of your excellent flowheater for some time now. We use your software to move data from one database (SOAP) to another ( MYSQL ). We used to do this manually with flowheater designer every week. However I wanted it to be automated. I wrote a little software program to extract a XML file from the SOAP database. Now I would like to import the XML file into the MYSQL database with the same little software program (due to a command prompt action). We bought a new license this week for all the extra possibilities with the XML files. When we use the FHBatch manually in the command prompt it works like it should. However when we use the software (web application hosted by TOMCAT), it will only import 50 rows. Normally we have about 150 rows. Do you have any idea what is wrong? When we start FlowHeater Designer it says the software is correctly licensed. The reason why is that the activation for single licenses only activate the software for the current user. In your case I guess that your Tomcat service runs unter another “technical” user account? In this case you just have to login one time with this technical user account and activate the software again and your automated XML to MySQL batch import should work. Thanks for the reply. I have changed the user of the tomcat service to the current user. But it does not make any difference. I also tried a completely different user for tomcat and activated flowheater for that user. Please try to execute the attached Definition under the TOMCAT service user account by FHBatch . The Definition creates just a short text file “env.txt” with your envirnonment settings. I need this for a deeper look inside, Thanks. I think the java is executed in some sort of extra environment? See pictures. I tried using the command: runas. But that didn't work either. The envirnonement output looks fine, FlowHeater ist correctly activated for user admin. Are you sure that this defintion has been started from your TOMCAT application and the TOMCAT service starts under this user account? 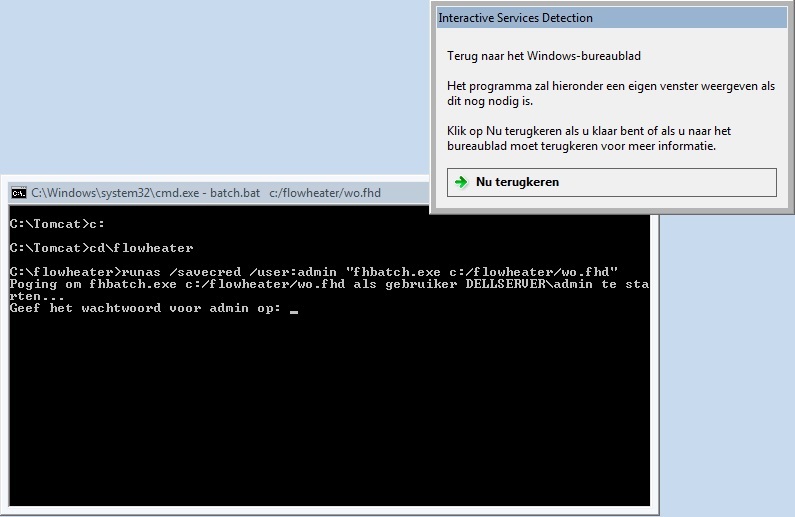 All outputs from FHBatch.exe are now also in the logfile, please post this log file for further inverstigations. I fixed it. 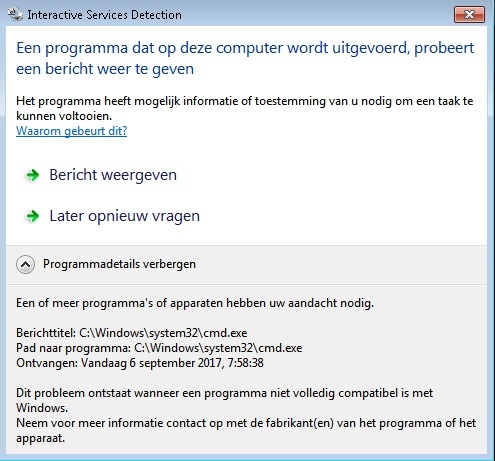 As you can see in the picture of my previous post, Windows opened a "interactive service detection" windows when I tried to use the command: runas. Runas gave an error and the window kept open. In that window I started flowheater and I could activate the license.